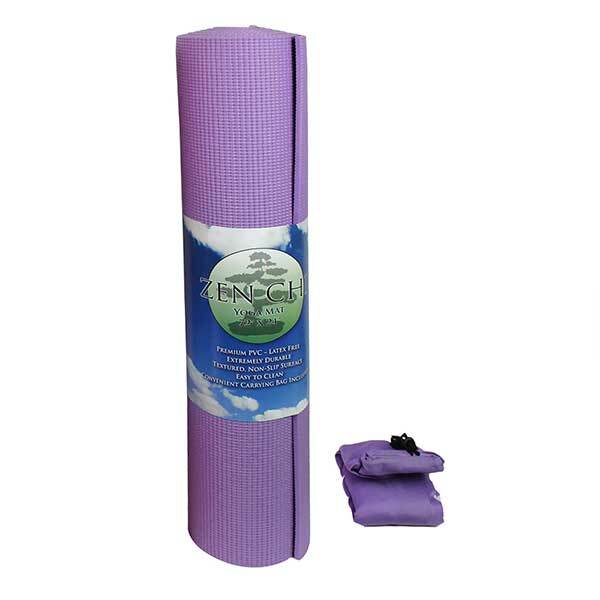 Extra thick for comfort and durability- 1/4"
Zenchi Yoga Mat- Premium Latex Free Non-Slip Yoga Mat With Carrying Bag The Zen Chi Premium Latex Free Yoga Mat is the perfect location for your yoga journey. 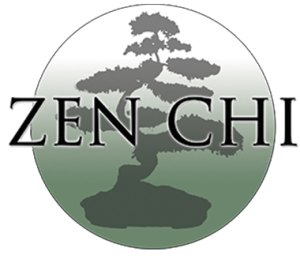 Master the mental, physical and spiritual discipline of yoga on the textured, non-slip surface of the Zen Chi Premium Yoga Mat. 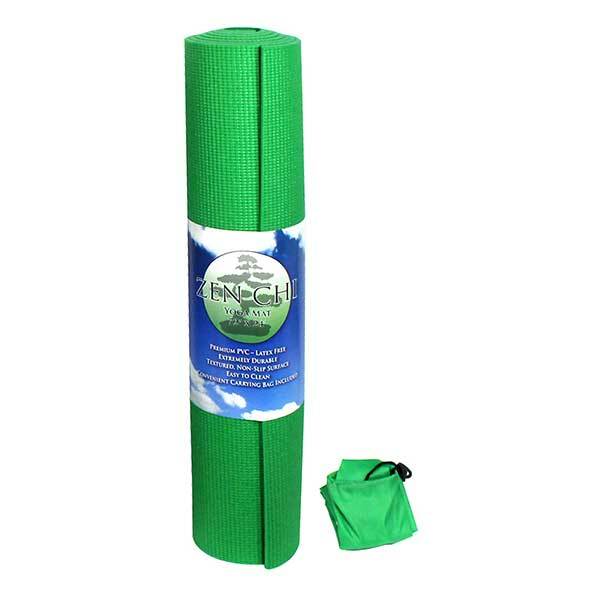 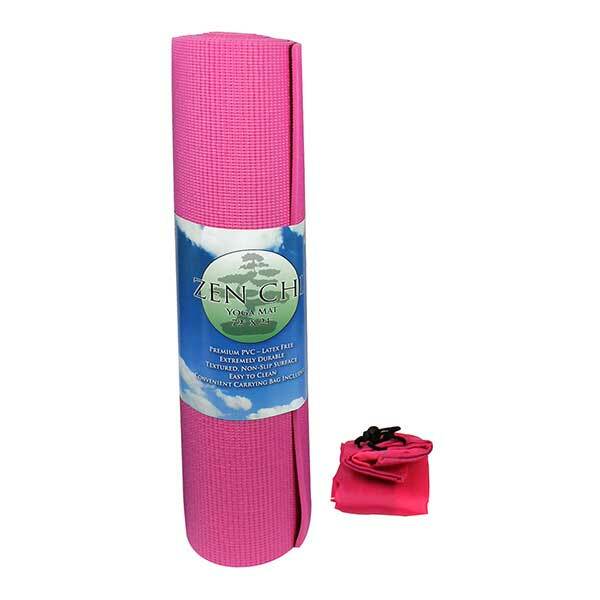 The Zen Chi Yoga Mat is latex free and made from high-grade PVC. 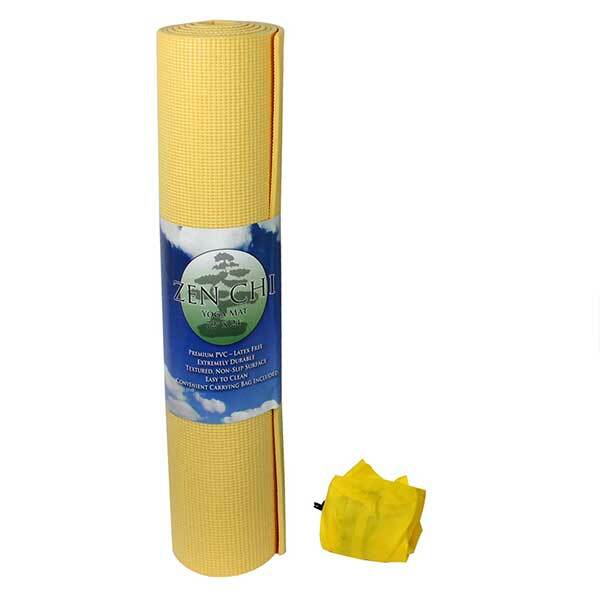 The material is easily washable yet durable. 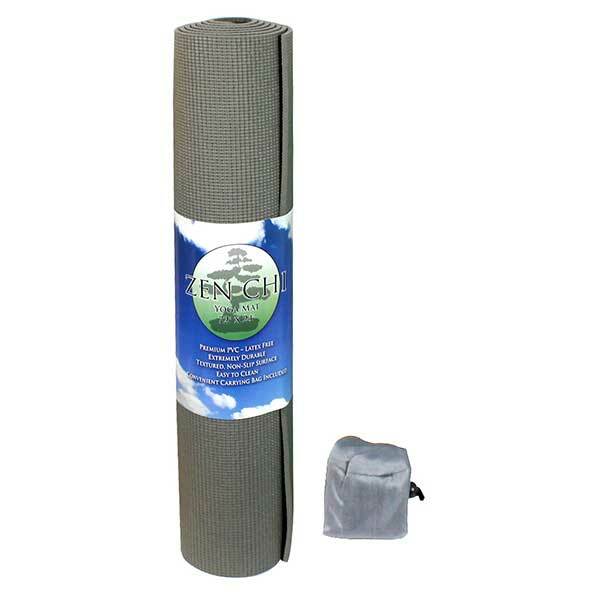 The extra thick surface provides comfort and the convenient carrying bag makes transport simple. 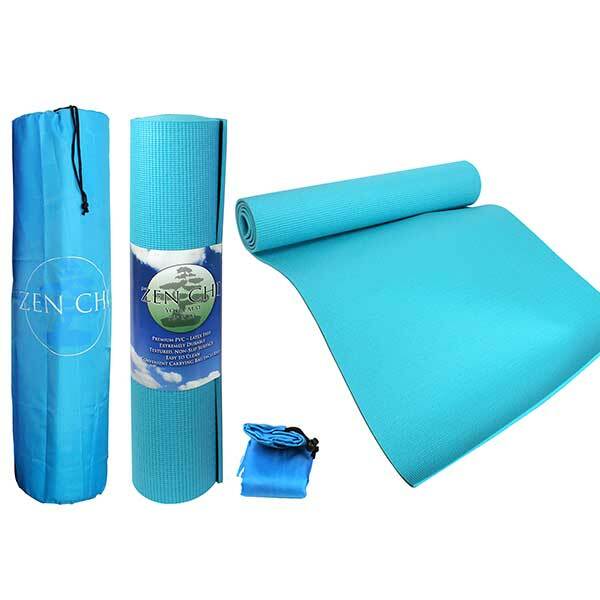 The Zen Chi Premium Latex-Free Yoga Mat is your own patch of solid ground on which you can build your life-long yoga foundation. 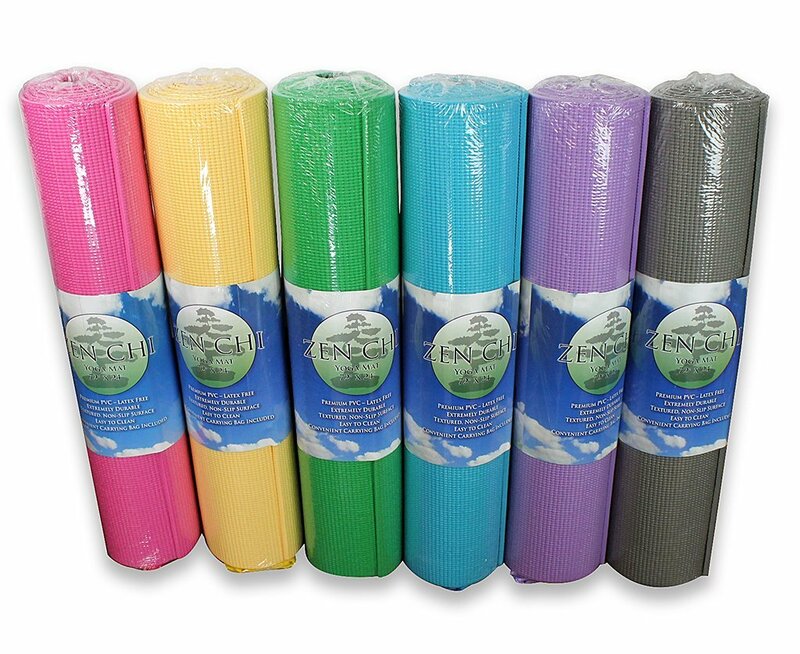 Whether it is a gift or a personal purchase, know full well you are getting a long-lasting, high quality mat.